Forest Hill Society: February Newsletter: Making Forest Hill more fun! ‘Jack in the Box’ is a community led initiative funded by SEE3 (the Portas Pilot high street re-generation scheme) that over the next three months aims to put on a diverse and interesting programme of events to encourage more people to visit Forest Hill. SEE3 set the ‘Jack in the Box’ team a number of key themes to work to including Valentines Day, Fashion Week, Easter & Film but crucially the events are being planned around the results of an on-line survey that ran throughout the month of January. 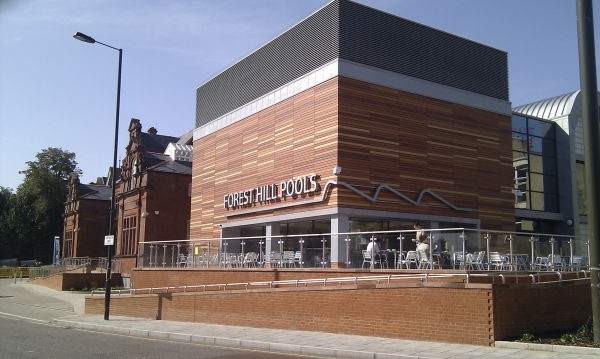 The survey was designed to uncover the reasons people visit Forest Hill, what aspects of Forest Hill are popular (and which are not); and, most importantly, what activities/events people would like to see more. The survey went out to schools, community groups, businesses and residents and the results can be seen on the SEE3 website. The ‘Jack in the Box’ team made up of two women have successfully delivered a number of events across London via their Shared City enterprise. Together they run imaginative inter-cultural experiences, consultation projects and community events across London. 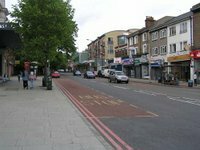 Deborah, one part of duo (that has lived locally for ten years) says: “Forest Hill is an incredible place with a rich history, great shops and leisure offer, wonderful transport and a diverse, dynamic population. We are big fans of all the ‘local gems’ that Totally Locally have identified”. “Through this project, we’re sure we can attract more people to the area to appreciate all that Forest Hill has to offer. Though this project, we would like to ensure that the events we run leave a legacy, encourage further collaborations between businesses and residents and continue to bring more Londoners from an increased catchment to enjoy the area”. “The events are all different but one lesson we’ve learnt is that they work best when the community comes together and gets involved. We also want to attract those Forest Hill residents who might feel marginalised and through the events make Forest Hill a place of which everyone is proud”. Keep an eye out for upcoming events via www.see3.co.uk or the Forest Hill Society website.